RT.comThe Russian military has obtained “irrefutable” data that terrorist groups, including Jabhat an-Nusra, and the infamous White Helmets met in Idlib province on Sunday, according to the ministry’s spokesperson Igor Konashenkov. The militants plotted the final scenarios for the chemical attacks that the Syrian army are expected to make in the cities of Jisr ash-Shugur, Serakab, Taftanaz and Sarmin, the Russian military revealed. “Full readiness of all participants involved in the staging of the provocations is be ensured by the evening of September 8,”Konashenkov stated. He added that the terrorists are to receive a “special” signal from some “foreign friends of Syrian revolution” to launch the operation. The statement comes after earlier warnings from Moscow’s that militants are preparing to stage a chemical attack in the Syrian province to give the Western coalition a pretext to strike Syria. 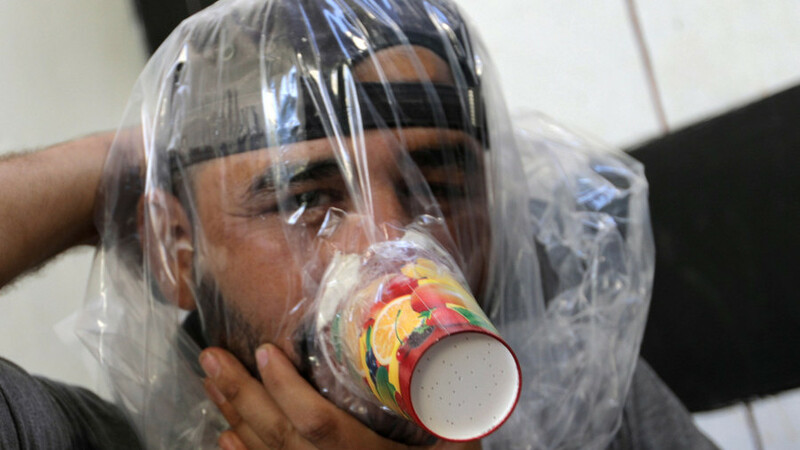 In August, the Defense Ministry said that eight canisters of chlorine had been delivered to a village near Jisr al-Shughur city, and that a foreign-trained group of militants had also arrived in the area to simulate a rescue operation after the staged attack. The US and its allies have repeatedly stressed its readiness to strike Syria if any attack takes place, ignoring all Russia’s warnings. Washington’s envoy to the UN Nikki Haley recently said that she already knows the perpetrators in case a chemical incident takes place in Syria. In late August, American forces deployed missile destroyer USS ‘Ross’ to the Mediterranean and USS ‘The Sullivans’ to the Persian Gulf. The preparation of US military forces was condemned by Russia, with its Defense Ministry describing the move as “the latest evidence of the US intention” to take advantage of a false-flag attack. On Friday, leaders of the three countries involved in the so-called “Astana process,” Turkey’s Recep Tayyip Erdogan, Russia’s Vladimir Putin and Iran’s Hassan Rouhani, met in Tehran to discuss the situation in Idlib and the rest of Syria. All three agreed that radical Islamists pose a threat to Syria, but there was no unanimous support for a major offensive in the terrorists’ last stronghold. The final document of the summit called for all armed groups in Idlib to lay down arms and seek a political transition in the country. Previous Previous post: JOHN BRENNAN: How did a card-carrying communist get to be Director of the C.I.A. ?